ARDUINO INTERFACE BOARDS provide the Evil Genius with a low-cost, easy-to-use technology to create their evil projects. A whole new breed of projects can now be built that can be controlled from a computer. Before long, the computer controlled, servo-driven laser will be complete and the world will be at the mercy of the Evil Genius! 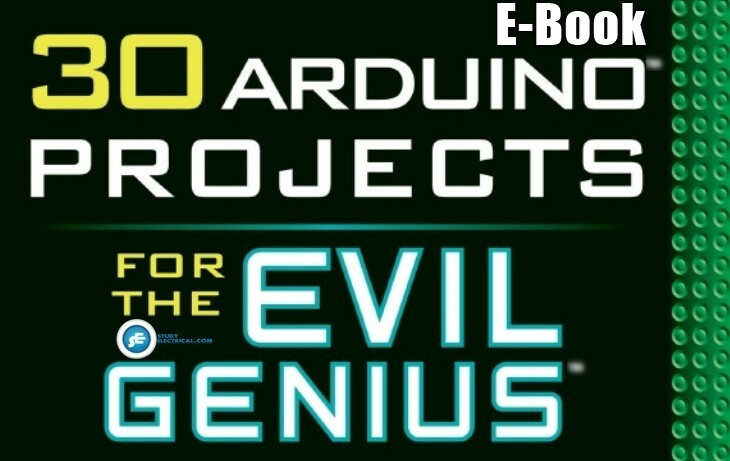 This book will show the Evil Genius how to attach an Arduino board to their computer, to program it, and to connect all manner of electronics to it to create projects, including the computer-controlled, servo-driven laser mentioned earlier, a USB-controlled fan, a light harp, a USB temperature logger, a sound oscilloscope, and many more. Full schematic and construction details are provided for every project, and most can be built without the need for soldering or special tools. However, the more advanced Evil Genius may wish to transfer the projects from a plug-in breadboard to something more permanent, and instructions for this are also provided. The projects in this book are quite diverse. We begin with some simple examples using standard LEDs and also the ultra-high-brightness Luxeon LEDs. In Chapter 5, we look at various sensor projects for logging temperature and measuring light and pressure. The USB connection to the Arduino makes it possible to take the sensor readings in these projects and pass them back to the computer, where they can be imported into a spreadsheet and charts drawn. We then look at projects using various types of display technology, including an alphanumeric LCD message board (again using USB to get messages from your computer), as well as seven segment and multicolor LEDs. Chapter 7 contains four projects that use sound as well as a simple oscilloscope. We have a simple project to play tunes from a loudspeaker, and build up to a light harp that changes the pitch and volume of the sound by waving your hand over light sensors. This produces an effect rather like the famous Theremin synthesizer. The final project in this chapter uses sound input from a microphone. It is a VU meter that displays the intensity of the sound on an LED display. mentioned, an unfathomable binary clock using an Arduino Lilypad board that indicates the time in an obscure binary manner only readable by an Evil Genius, a lie detector, a motor-controlled swirling hypnotizer disk, and, of course, the computer controlled servo-guided laser. How to Make a Digital Lock Using Arduino?